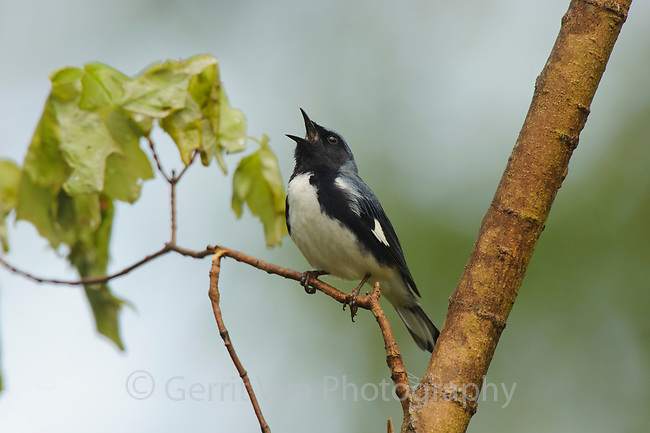 Adult male Black-throated Blue Warber (Dendroica caerulescens) in breeding (alternate) plumage singing. Tompkins County, New York. May.